Happy Hollows: Happy Hollows Cover Song for 826LA Benefit! Please Donate! Happy Hollows Cover Song for 826LA Benefit! Please Donate! Maybe you've heard about 826LA. It's an incredible educational nonprofit that helps Los Angeles-area students ages 6-18 with everything from reading skills to college prep. They also help students of all ages publish books, make movies, and, once a year, write songs to be recorded and performed by an L.A. band. This year, we're recording one of the student-written songs. It's called Weird Group of Bandits and it was written by Miguel and 11 year old, Oscar. We love it. It might be the best song ever!!! 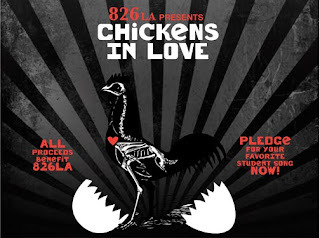 To help keep 826LA alive for another year, so they can help students in Los Angeles with their homework and writing projects and create awesome songs like Weird Group of Bandits, please go online to http://www.826la.org/chickensinlove/pledge-now/ and vote for our song with a tax-deductible donation. 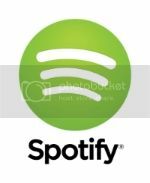 A bunch of other students wrote songs that are pretty good, and you might like them too, so you can vote for them, but vote for ours the most. This is the biggest fundraiser of the season for 826LA and it starts right now. They're an incredible organization, we're doing this for free to help them, so if you like us, like the song, and want to help the kids of Los Angeles, please go to http://www.826la.org/chickensinlove/pledge-now/ all the time and vote as much as you can. Thank you. Also there's a show March 6th at the Echoplex at 1pm where some of the bands will be playing, we'll be there and you should go! Troubadour and Other Upcoming Tour/SXSW Dates!